Friday, April 19th. — Went to the Museum and was much interested, an excellent compact collection, and in a handsome separate building across the garden is the Blackmore collection of antiquities illustrating the Palaeolithic and Neolithic man. I should think it is about the finest collection of flints in the world. The objects were gathered from all parts of the world by the late Mr. Blackmore. There occurs a slight confusion with regard to objects other than flints, for instance engraved bones, as to which are real and which plaster. Also curious, a collection of flint forgeries, a very fearful warning to avoid curiosity shops. 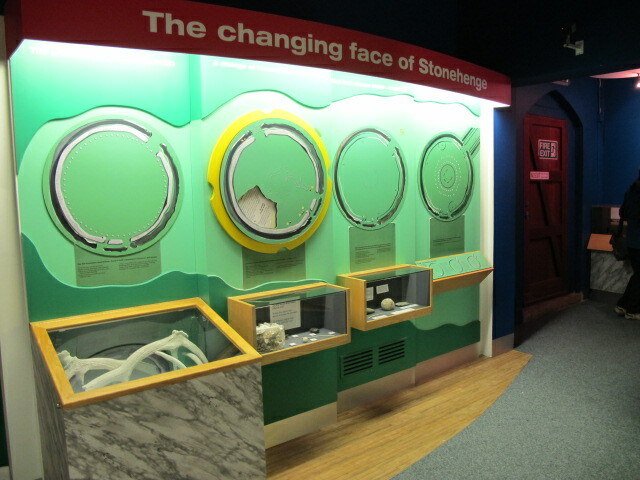 Also the modern greenstones from New Zealand are handsomer than the Neolithic. The subject is beyond an ordinary person, but I appreciated an enormous horn from the drift at Salisbury. The Antiquarian Museum contains, and was founded on, objects unearthed during the drainage after the cholera. 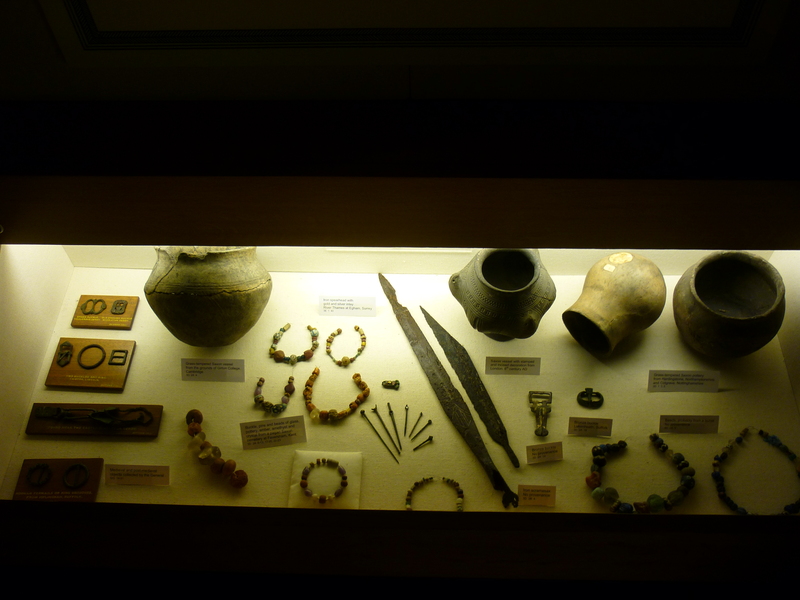 A most singular medley of spurs, knives and hafts, keys, padlocks, stirrups, spoons, every imaginable small ironwork and Roman pottery from adjacent entrenchments, and a very perfect specimen of an Anglo-Saxon. Also printed broadsides, play bills etc. ; an enormous, ugly giant in a red gown; and a black hobby-horse with clapping mouth carried through the town on state occasions. A good collection of birds, badly stuffed, but a few good. The last buzzard shot as late as ’71. A mottled hare, a breed found at a village whose name I have stupidly forgotten, grey all year round, the custodian suggested more like a white, little hare, but not sufficiently well set-up to judge. He said, for the first time in his experience, the glass of the cases containing ducks had fogged every morning during the intense cold last winter. I thought the greasy exhalation had become opaque and visual through cold, he said they thought through the salt. There is a good small type-collection of fossils, and a case of most exquisite specimens from the chalk. Also, in a drawer, an old wooden doll roughly dressed in a bit of satin brocade, a flowered-pattern, said to have been dressed by Marie Antoinette in prison, touching if authentic. Thanks to Stephen for these delightful extracts. We will have more next week, including Beatrix’s views on Stonehenge. A fascinating day at Down Farm with Martin Green telling us about flints. Who knew that flints were created by gelatinous dead glass sponges melting down to fill holes in the sediment to create flint nodules? Martin is an expert and gave an easy to understand overview of the chronology of flint use by humans. It is wonderful to touch ancient flints or lithics (hence palaeolithic, mesolithic and neolithic being known as the Stone Age) and feel the tools that were shaped by people from so long ago. Martin gave a flint knapping demonstration and we were able to look round his museum at the artefacts he has acquired over nearly 50 years of collecting. The day included a walk round his farm on Cranborne Chase to look at the prehistoric sites there and to spend some time at his peaceful millenium pond with its wildlife and flowers. A lovely day, and we learnt so much. Volunteers Jenny Mawer, Claire McHardy and Alyson Tanner admire a hand-axe which was expertly crafted by Martin Green as they watched. Flints tools like this, created today, must be disposed of carefully so as not to confuse the historical evidence all around us. Alyson and Volunteer Mark Brandon concentrate on Martin Green’s talk which was full of interest and some surprises. One Volunteer was heard to say that all the questions she had ever had about flints had been answered in the space of an hour! For the second time in recent weeks, volunteers from the Museum will have the opportunity to try flint knapping and identification of finds with local archaeologist, Martin Green. This is part of their training for their work with Jane Ellis-Schon (Finding Pitt-Rivers Project) and Richard Henry (Finds Liaison Officer). (Above) Volunteer Alyson Tanner identifying flints brought into the Museum. This is part of a highly, and beautifully, polished Neolithic flint axe-head. Alyson will be writing for us next week about her own experience of flint knapping. My first introduction to General Pitt-Rivers was during a visit to the Larmer Tree Gardens. I was impressed to read how he had opened his gardens to the local people, to further their general education. When I had the chance to learn more about Pitt-Rivers during a two day course run by the museum, I took the opportunity. His life and archaeological work was fascinating and the second day of the course was spent visiting the local area, where much of the work was carried out. I felt that it would be interesting to be involved and now find myself as a volunteer, handling, repacking and labelling the many items from the Pitt-Rivers collection. Being involved in the work of the museum helps one realise how important the volunteers are to the running of it all. I am very glad to be of help. Our job as volunteers is to repack, measure and catalogue the Pitt-Rivers collection held in the storeroom – especially chilly in the winter! We are both retired and have a keen interest in all things archaeological, so volunteering for this project was an obvious choice. A typical afternoon can be researching boxes of the bones or flints, then opening a box of delights and finding a colourful glass bead or delicate brooch. It continually amazes us how privileged we are handling history on a weekly basis – still looking for that lost treasure. N.B. 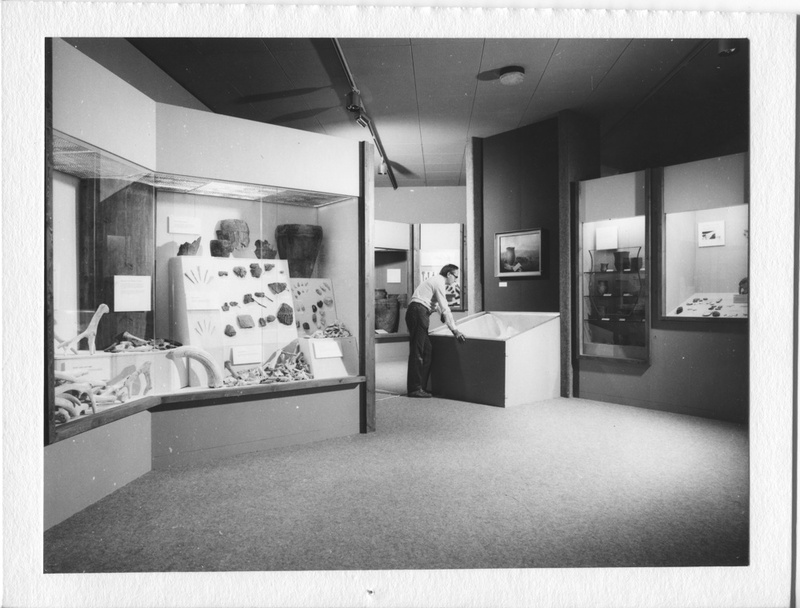 See a temporary exhibition about the Finding Pitt-Rivers project currently on display in the Wessex Gallery. This Victorian plaster cast is one of the objects on show. We are Sue and Alan Haddock and are volunteers for Salisbury Museum, where we work in pairs to identify, record and pack certain objects which are currently held in storage. The items are the artefacts from The Pitt Rivers Collection which were previously held at Farnham Museum prior to being packed and despatched to Salisbury Museum. Our volunteer work is part of The Finding Pitt Rivers Project which is under the direction of Jane Ellis-Schön who is the Project Curator. We are both members of Spire U3A and it was the desire to form a closer link between the local U3A groups and Salisbury Museum that started us out on the road to volunteering. 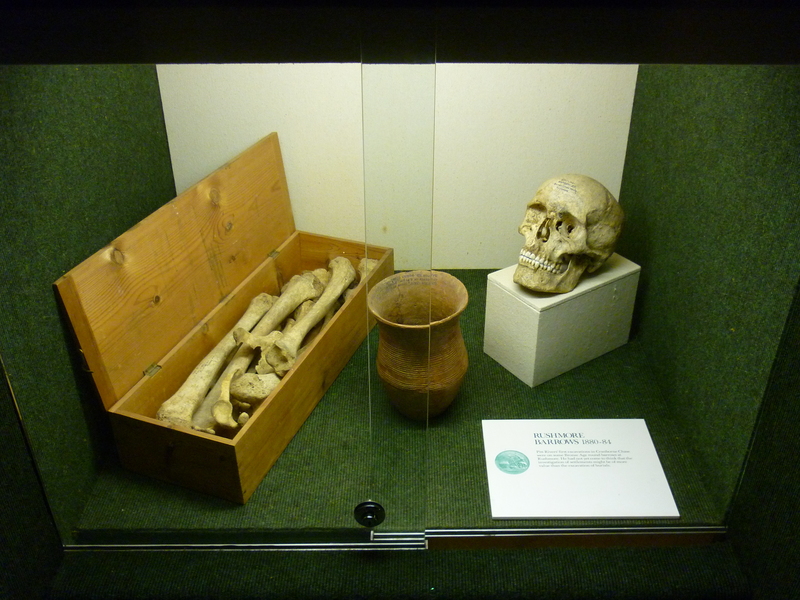 In 2013 the local U3A groups linked up with Salisbury Museum to provide two study archaeological days for all those members who were interested. We had a day in the classroom with presentations given by Jane Ellis-Schön the Project Curator and Adrian Green the Salisbury Museum Director, followed by a day ‘out in the field’ exploring some of the landscape which had formed part of our ‘in house’ day. This was a great success and we know that everyone enjoyed these days so much that we have already requested a similar study venue for this year for all the U3A members who want to keep their ‘grey matter’ in prime working order. We have always been interested in historical matters and now that we are both retired we have the time and the quest to expand our knowledge and at the same time provide help towards the Finding Pitt-Rivers Project. We both felt that this would be an interesting and rewarding project to be part of, providing us with the opportunity to hold objects, understand more about them and learn about their storage and conservation. We started as Volunteers in January 2015 and we are currently working our way through the many boxes crammed full of various artefacts that General Pitt-Rivers and his team of archaeologists excavated in both Dorset and Wiltshire. The aim of this project is to identify and catalogue all the items currently held in storage and this information will then be entered onto the museum database so that at any time researchers can view the collection held at Salisbury by just going on-line. I am study ‘A’ levels at Kingdown School, Warminster, and during the October half term I was able to do a week’s work experience with Salisbury Museum. I was looking forward to it but I wasn’t entirely sure what to expect beforehand. I’m hoping to study History at University and so I was hoping that the work experience would give me a better insight into careers directly related to history. On the first day I met the Project Learning Officer, Owain, and he gave me a tour all around the museum and almost bombarded me with knowledge. 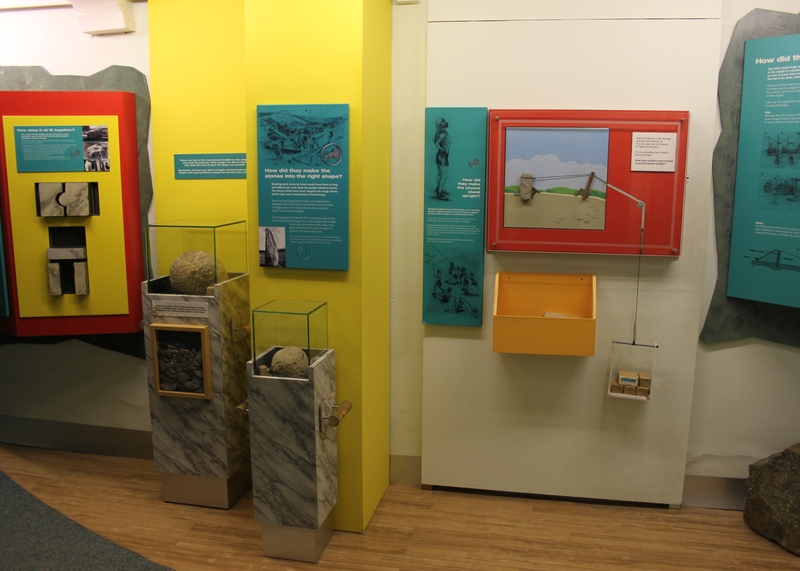 After a short break from that I created a trail for the temporary John Hinchcliffe exhibition in order to try and get children, in particular, to take more notice of the various exhibits on show and not just rush through. After making this, and being taught how to laminate, I helped out setting up the hall for the Big Draw event that was on the next day. After being told that it’s amazing what you can do with a bit of bunting, I was forced to believe it! Following this, I was asked to go through the Wessex Gallery and photograph my five favourite items which were then posted on the museum’s Twitter and Instagram throughout the week. And one was even retweeted by the Heritage Lottery Fund South West’s twitter page. On the second day I helped out with the Big Draw Event and became the photographer for the day as I photographed over 100 pictures that the many children had created throughout the day. And I also managed to read around 100 pages of my book! Although I wasn’t exactly doing what I had hoped to be doing so far at the museum, it was still very enjoyable. On Wednesday I made another trail for Owain but this time for the Ceramics Gallery in the King’s Room. This lovely room almost seems to be forgotten and so I was looking forward to making a trail for it because after paying close attention to the various items in it, I realised how great this exhibition was. So I made a trail, researched and wrote a short biography of James I after whom the room is named. In the afternoon I worked with Valerie and helped with collections. We hunted around the museum for various items that had been requested and it was very intriguing and also surprising to see just how much more the museum has stored away from the public. On Thursday I was lucky enough to work with the Finds Liaison Officer and I was shown how to identify coins. I was then asked to identify ten coins, nine of which turned out to be Groats and one a half-Groat which all came from either Henry VIII or Edward VI’s reign. I was blown away by how amazing these coins were, especially the ones that were still in very good condition despite being over 400 years old. I was equally surprised by how normal these coins seemed to the Finds Officer who had clearly seen many like them. I was also then tasked with writing the coroner’s report for the treasure and photographing the coins ready to be sent off. This really made me feel as though I was helping out and that I had made something that I could take credit for. Also on Thursday I experienced a spotlight tour with one of the volunteers which was interesting, to see his favourite items within the Wessex Gallery. On the last day I spent the morning with the museum’s curator and helped to repackage and make notes on various items within the Pitt Rivers collection. It was very interesting to learn more about Pitt Rivers, someone I was completely unaware of before my week’s work experience. It was also very fascinating to hear about how the curator got into her line of work and she also gave some very appreciated advice. In the afternoon I made one final trail, this time for the Salisbury Gallery, which again was very interesting to make, as it’s very easy to miss very impressive objects within this gallery in particular. I really enjoyed my time at the museum and was quite sad to say goodbye on the final day. I left better appreciating all the work that goes on within the museum, in particular the work that goes on behind closed doors. It got me interested in possible careers within museums and I felt I had learned a lot more by the time I’d left, especially in areas that beforehand I didn’t particularly know a lot about.